The 000 file extension is associated with the PaperPort application used to transfer paper documents to electronic form. The extension .000 is the desktop, while extensions .100-.600 are images. Note: the number may include hex "a" to "f" as part of the extension. PaperPort is scanning software for Microsoft Windows. It is also able to organize scanned documents. It is the perfect solution for your home or small office. Save time and money with the security of knowing that important documents and photos will never be lost. Use PaperPort to open .000 scanned image files. Use PaperPort program to convert the 000 extension files e.g. into pdf file format. Programs supporting the exension 000 on the main platforms Windows, Mac, Linux or mobile. Click on the link to get more information about PaperPort for open 000 file action. Programs supporting the exension 000 on the main platforms Windows, Mac, Linux or mobile. Click on the link to get more information about PaperPort for edit 000 file action. Programs supporting the exension 000 on the main platforms Windows, Mac, Linux or mobile. Click on the link to get more information about PaperPort for create 000 file action. 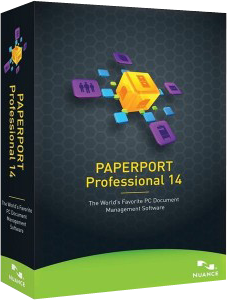 Click on the software link for more information about PaperPort. PaperPort uses 000 file type for its internal purposes and/or also by different way than common edit or open file actions (eg. to install/execute/support an application itself, to store application or user data, configure program etc. ).